Oftentimes, home renovations are either too expensive or not beneficial to the home. However vinyl house siding is a project that will give any homeowner a large return on investment down the line. Looking for simple home upgrades that work? Here are benefits of installing vinyl siding on your home. One of the largest perks of vinyl siding is that it is extremely cost effective compared to other options. With installation costs, maintenance expenses, and energy efficiency, vinyl siding is about 25% cheaper than wood. Vinyl siding comes in dozens of colors, textures, and profiles that will give your home an amazing look. Gone are the days of thick, white, and bland house siding, and in are the days where versatility will help you achieve whatever look you are going for. From vinyl that looks like cedar panels, to scalloped edges, and even siding with the appearance of brick, vinyl will add the oomph you are looking for in your home’s curb appeal. On average, vinyl home siding can withstand winds up to 100 miles per hour. It can also handle impact from hail and resist moisture so you won’t have to worry about it corroding or wearing away. In fact, many siding companies will offer a warranty with their vinyl siding because it is so long lasting! No homeowner wants to invest their time and money into something that requires a lot of hard work and energy to maintain (we’re looking at you, wood siding). That’s why vinyl is the way to go, as it requires little to no maintenance over the years. Not only does it resist the elements, but it will not succumb to pests and rot. Plus, you will never have to paint your home ever again when you invest in high quality vinyl siding. While no form of siding will last forever, there’s only one choice for homeowners that want to limit the time and money wasted on annual repairs. Insulated home siding will lower your heating costs as it prevents heat loss between the wall studs in the exterior walls. 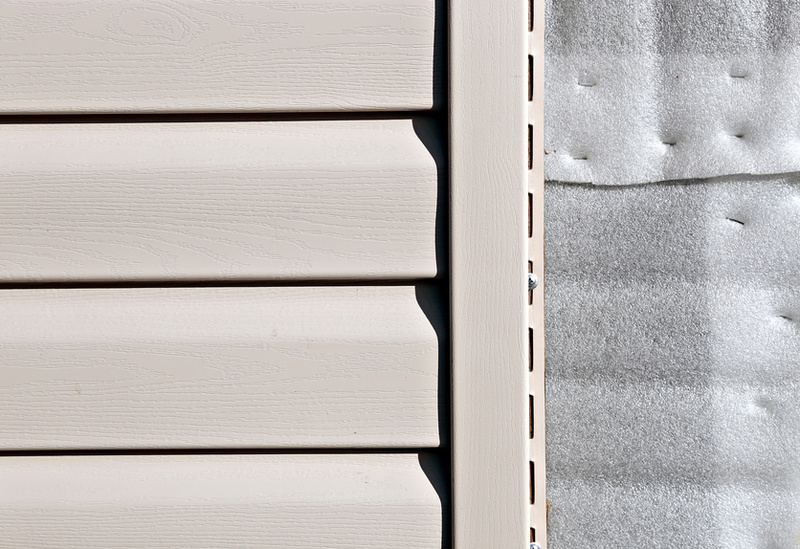 Vinyl siding acts pretty much like a blanket of protection over the studs, which keeps your home warm in the summer and cooler in the winter! Interested in vinyl home siding? Contact our experts to learn more today.